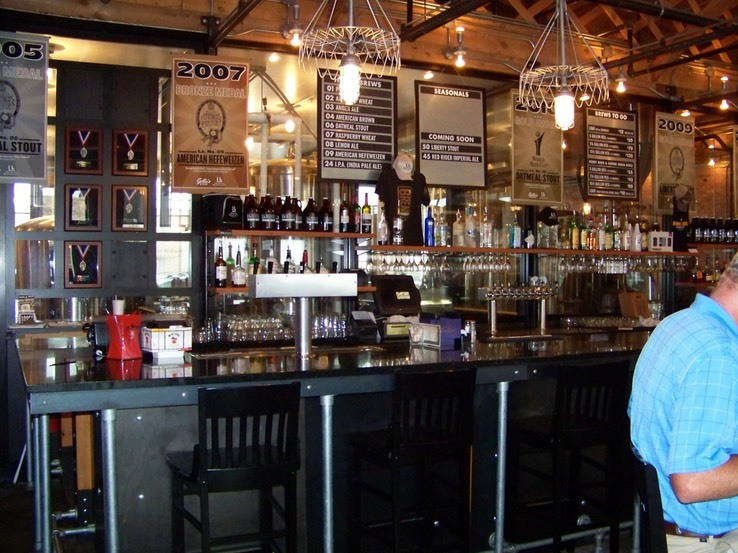 It’s time to put Hays, KS on your brewpub map. Never heard of it? It is located at exit 159 on I-70. This was another billboard find for us, shortly after we’d driven through yet another severe thunder storm. As you might by now imagine, we were very happy to see that billboard. It looked old, so we weren’t sure the place was still in business. We stopped for gas, and asked the station attendant for the name of the place, which he gave us, along with excellent directions. 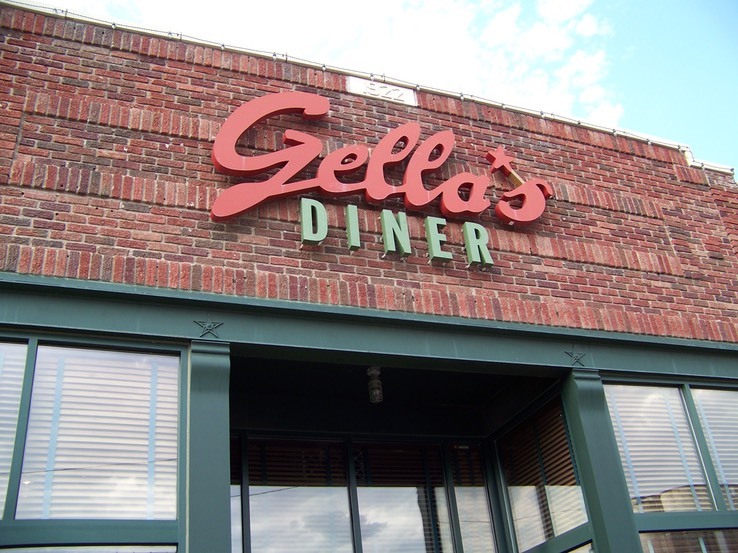 Gella’s diner is in the downtown area, but easy to get to and worth the effort to get there. 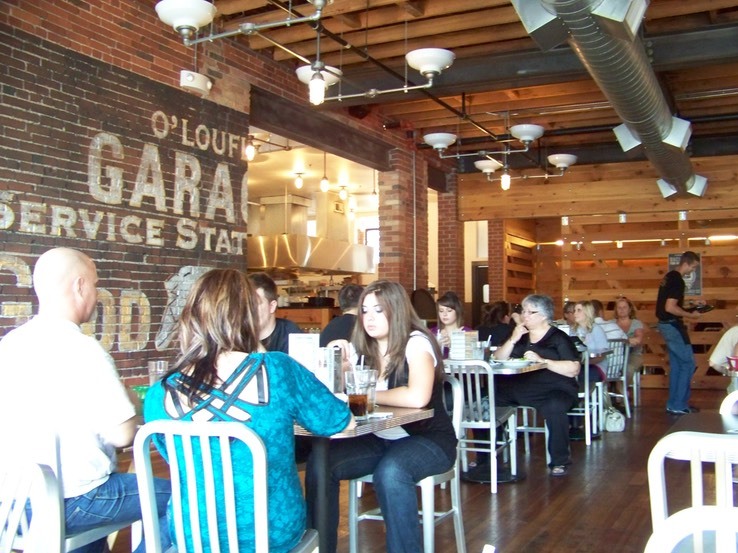 The diner and brewery are in an old building, with brick walls in the interior, and a nice warehouse atmosphere. The 'Lb’ in the brewery’s name stands for 'Liquid Bread’. The menu was very impressive for a “diner”. We ordered and shared a small Caesar salad, and the chicken pesto pasta. We also ordered their crème brûlée for dessert, which came with fresh raspberries. The crème brûlée was not up to the Outer Banks Brewing Station standard, but was still quite good. Our Caesar salad had fresh, made from scratch dressing, and the pesto pasta chicken was also excellent; the latter came with garlic bread that had real minced garlic on it. We decided to order their beer sampler, which gave us 8 glasses of about 4 ounces each. The list included a pale ale, IPA, oatmeal stout, amber ale, American brown ale, two wheat ales, and a raspberry wheat beer, all of which were very drinkable. We also had a glass of amber ale with dessert. We were a little disappointed that they did not have the “kilt-lifter” that was on the menu, and also that we were there two days too early for a new stout release. We left feeling very pleased with our unexpected find, and will certainly go back if we are in the area again. Directions: From I-70 take exit 159 and go south on Vine St. Take a right on 13th street, go about 6-7 blocks and take a left on Main St. (the first traffic light). Turn left on to 11th Street, and Gella’s is on the left about halfway up the block.